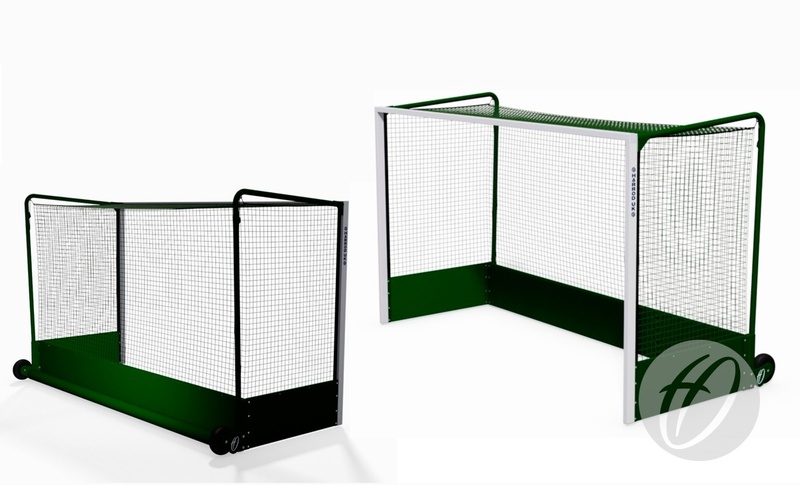 Harrod UK were the first company in the UK to design and manufacture a unique range of integral self weighted goals for Hockey. 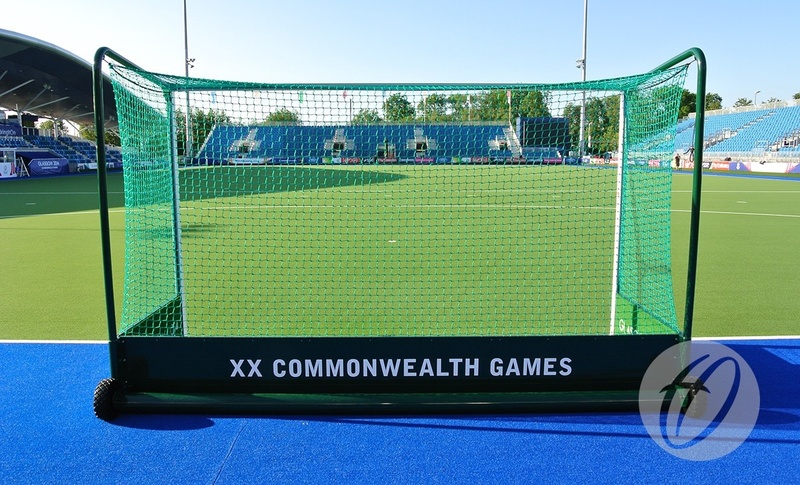 The market leading concept has now been widely adopted as the industry preferred method for all aluminium freestanding goals. Completely safe to use at all times, eliminating the users responsibility of attaching separate anchors. 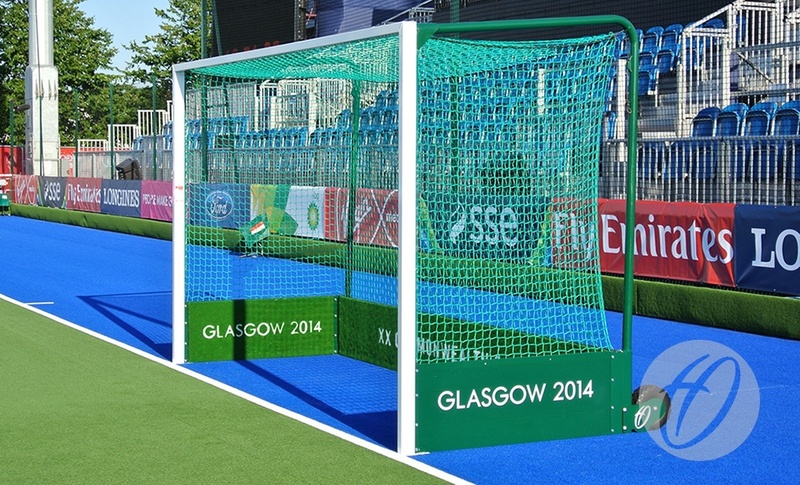 The UK's best selling weighted hockey goal. Specially designed 50.8mm diameter back tubes allow the net to hang freely to meet FIH specifications and eliminate ball rebound. Integral net retaining system holds the net firmly in place without the use of net clips. The front of the goal to the rear of the wheel measures 1690mm. Internal backboards can have laser cut logo at additional cost. Backbar consist of a single weighted tube with 2 puncture proof cellular rubber wheels allowing for ease of manoeuvrability. 460mm high reinforced aluminium backboard panels with extra thick impact absorbent noise reducing carpet on all inside faces. Polyester powder coated white excluding net supports and backboards which are green.